The latest installment of the Suicide Squad’s two-for-one mini-series has arrived in comic shops and once again gives readers bang for their buck. Let’s not waste any time and get to it! 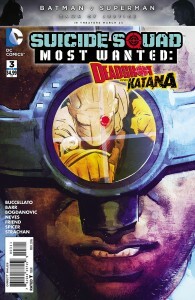 Much like the first issue, we begin with Deadshot and, once again, his half of the book is the better one. As he finds himself hunted by the Suicide Squad, we are offered a probing look into the core of the character, which is amplified by Richard Friend’s moody inks. You will find it easy to feel Floyd Lawton’s disdain for Amanda Waller during their exchange, so I applaud Brian Buccellato for allowing me to share what this complex fellow was feeling. Let me say that the cliffhanger will make your head spin. What does it mean? Shocking comic book cliffhanger or the beginning of a new status quo? I guess none of us will want to miss what happens next month. 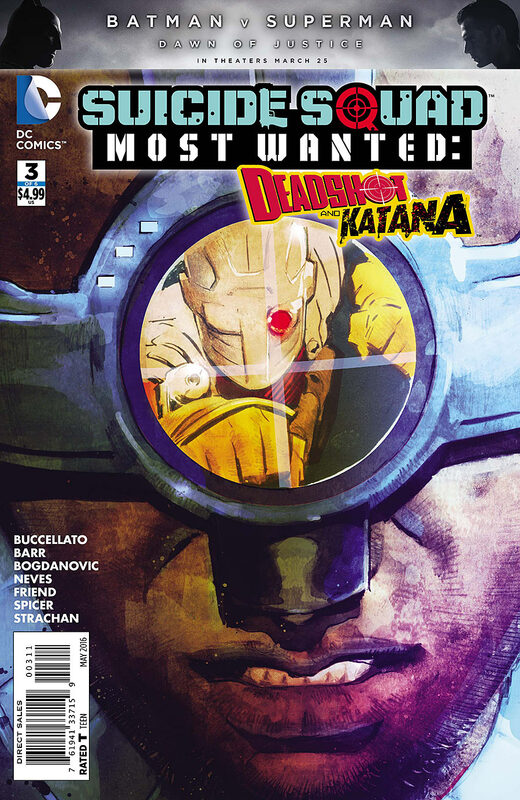 Katana’s portion sees her team up with the Suicide Squad, which happens to consist of a lineup including Deadshot. I’m not entirely sure if that was the right way to go, considering he already has his own half of the book and I thought the point of this venture was to give each of them an equal time to shine. As the master swordswoman embarks on a Markovian mission with the Squad, we are taken to Kobra’s secret volcano hideout that is highly reminiscent of You Only Live Twice. 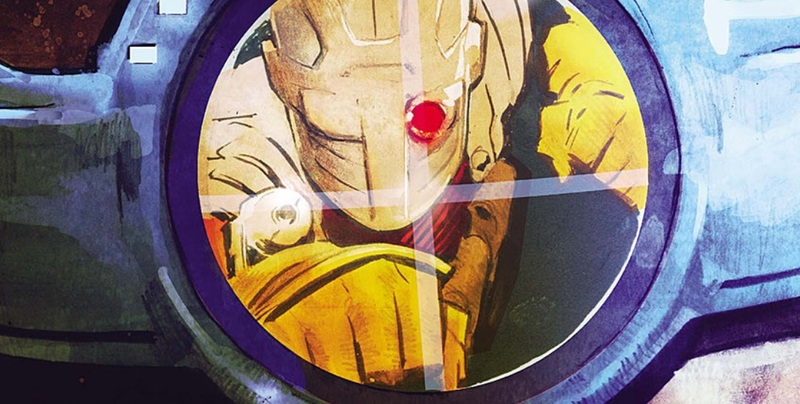 Although there’s a bit more action that Deadshot’s piece, at least by my observation, Katana just doesn’t resonate with me as much. Plus, her cliffhanger wasn’t nearly as shocking. While not my favorite entry to date, this mini-series is still going strong at its halfway point. And a healthy injection of Harley Quinn never hurts!